The internet home of Australian broadcaster Ian Davidson AKA Ian Damon "The Wombat"
In 1967 I used to compere the Big ‘L’ nights at Rhodes Centre, Bishops Stortford. One evening Paul Kaye asked me to submit an audition which I subsequently did. I had an interview and a letter back from Alan Keen the Programme Director of Big ‘L’ Radio London asking me to start on air, ( a lucky break in more ways than one as over the years I have worked for Alan four times in the radio industry). I changed my name to Ian Damon and of course I got the nickname ‘Wombat’ which Tony Brandon instigated and to this day most people in the industry call me that – hence my website address. 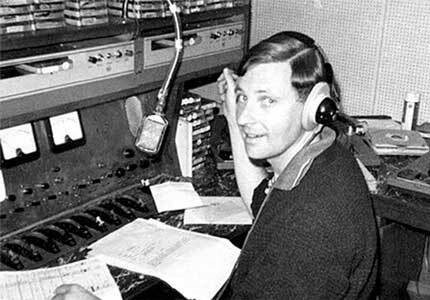 After Big ‘L’ Radio London closed I freelanced and was engaged by ABC and ATV as continuity announcer and contributed to BBC Radio Two’s ‘Roundabout programme.